This rocking chair is built from solid Black Oak. 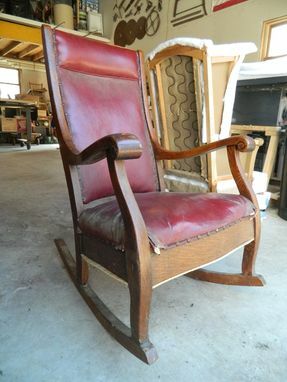 We restored all of the woodwork, rebuilt the frame, repadded and reupholstered the chair, using over 100 brass tacks. This chair is over 100 years old and will be going in a nursery for a new born. 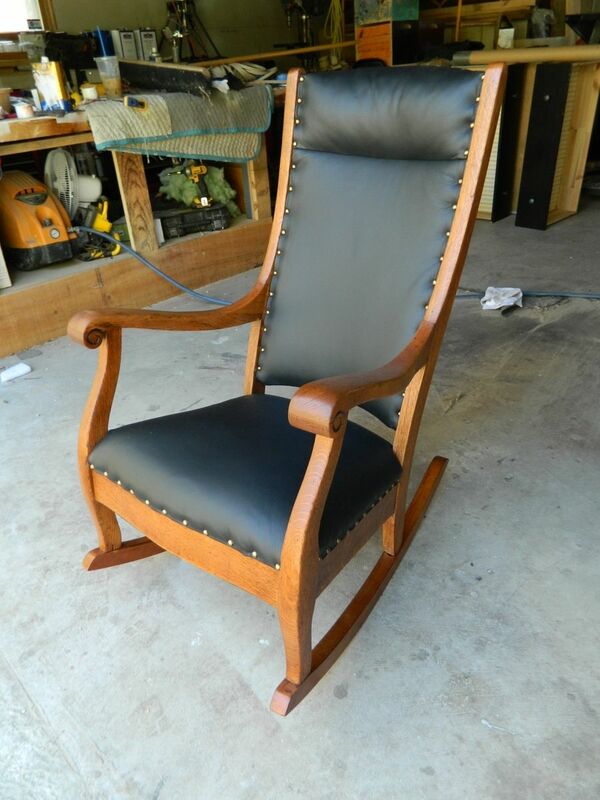 The baby will be the 6th generation to rock in this chair.